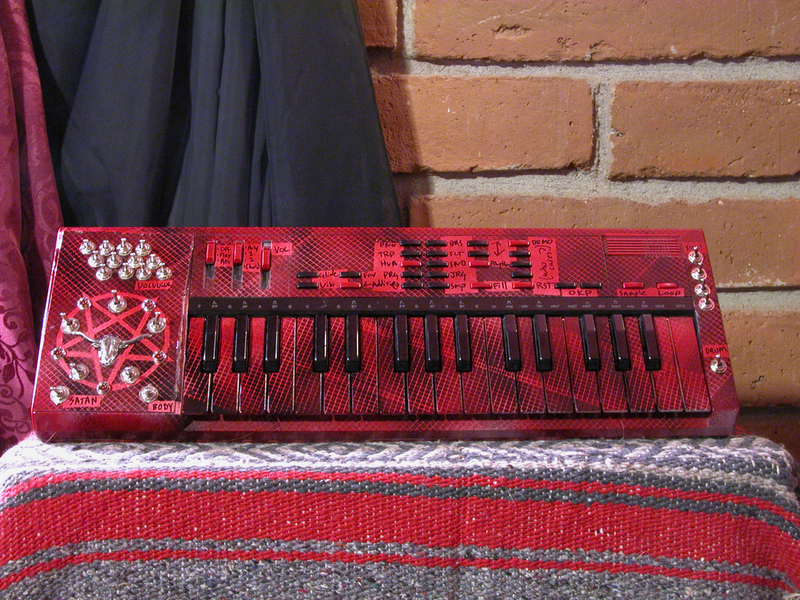 This Casio SK-1 has been painted and hellishly circuit bent by Stag Injector. On 6/6/6 I posted about the work in progress but it was not until just recently when the project was completed. Lots of custom paint and a light activated Devil insignia in place of the speaker completes the instrument. A 30 minute jam with the keyboard should serve as enough proof that this is indeed a Devil’s Johnson.